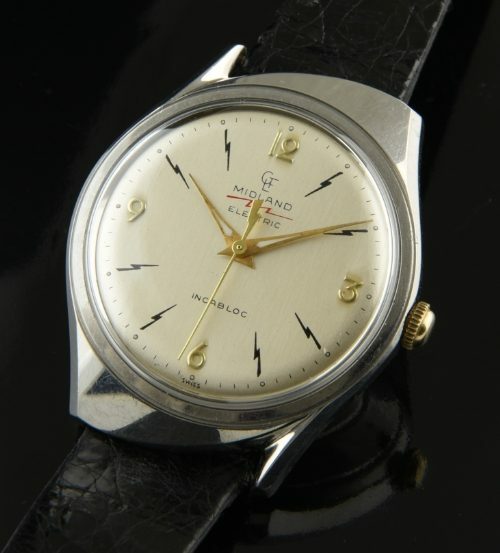 You have to love this 1960’s MIDLAND early (battery operated) electric with a lightning bolt ORIGINAL dial,raised gold toned numerals and sword hands. Check out the red lightning bolt. The very reliable Landeron 4750 movement was just professionally cleaned and accurate. This case is very cool with swirled lugs all in a 35.75mm. screw-back case. 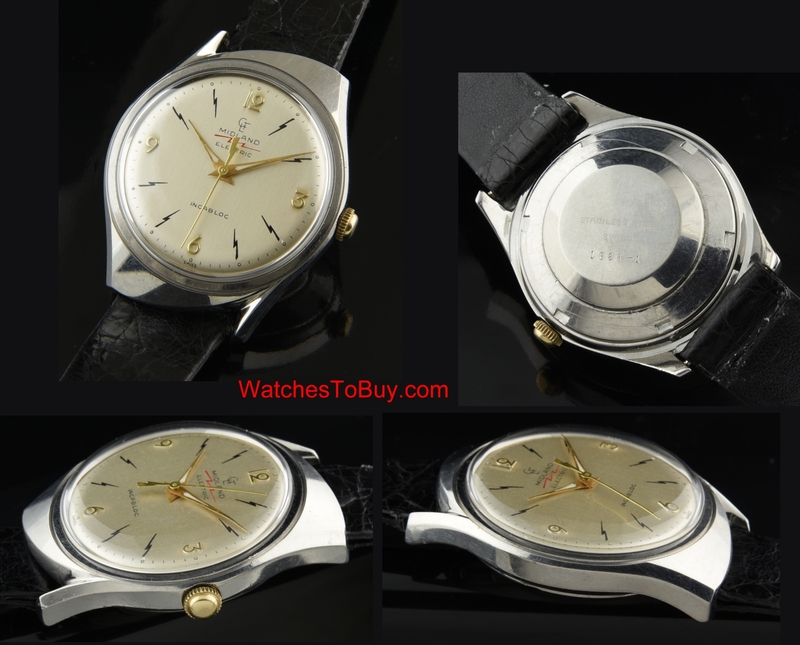 This is a very hard to find and desirable collectable vintage watch. Only $795.